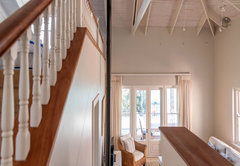 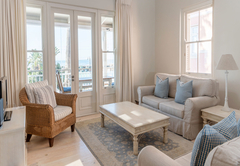 Harbour View at the Majestic is a property providing self catering in Kalk Bay for up to 4 guests visiting the False Bay region. 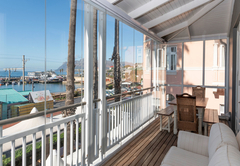 Harbour View at Majestic Village offers accommodation in an apartment located on the Main Road in Kalk Bay. 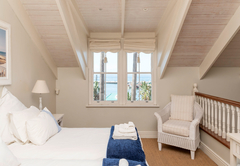 The apartment boasts a lovely view of the sea and harbour and can accommodate four guests. 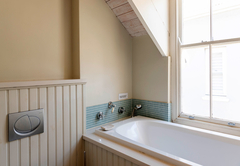 The apartment is part of the revitalized Majestic Village and retains the original 1920 features. 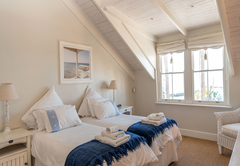 The self catering apartment has one bedroom furnished with a double bed and a loft area furnished with two single beds. 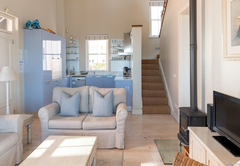 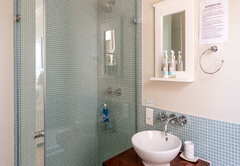 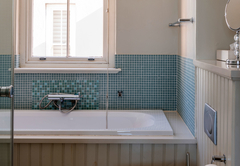 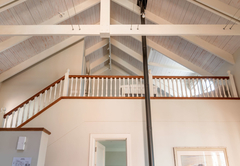 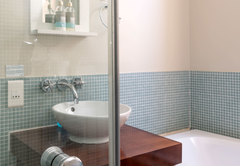 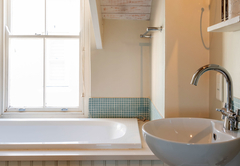 Both bedrooms have an en-suite bathroom and the loft is accessible via two flights of stairs. 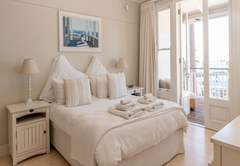 Linen and towels are provided. 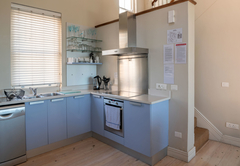 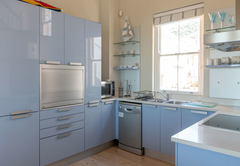 The kitchen is fully equipped for self catering and includes a dishwasher, stove, oven, fridge-freezer, microwave, cutlery and crockery. 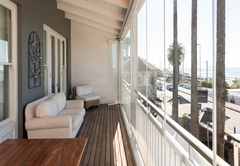 The lounge is comfortably furnished and opens up onto a lovely, enclosed balcony which has a dining table and a couch. 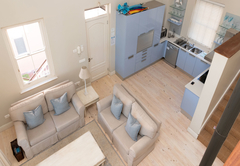 The apartment has one bedroom furnished with a double bed and a loft area furnished with two single beds. 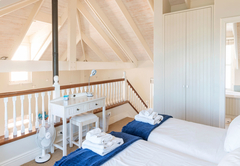 Both bedrooms have an en-suite bathroom and the loft is accessible via two flights of stairs. 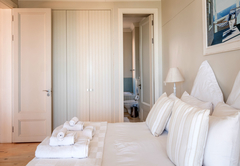 Linen and towels are provided.